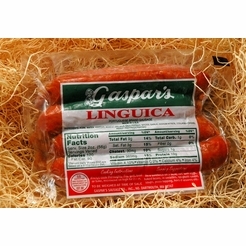 Similar to kielbasa but with its own unique flavor, Linguica is a mild pork sausage still manufactured according to an old Portuguese recipe. 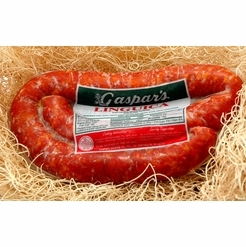 It is a fine blend of lean pork with a mixture of such basic spices as vinegar, salt, paprika and garlic. 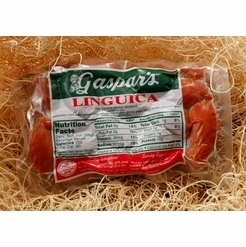 Stuffed into a natural casing, Linguica is then smoked until the special flavor and federally required temperatures are reached. 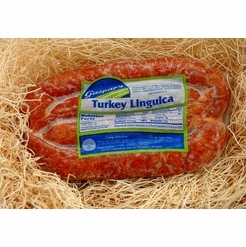 All meats are approximately 1 Pound. 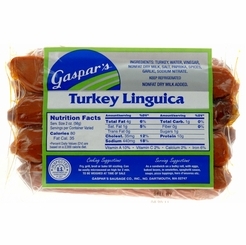 Gaspar's Turkey Linguica Franks 1 lb. 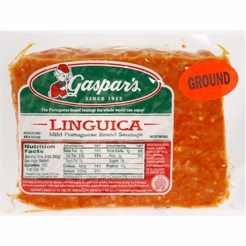 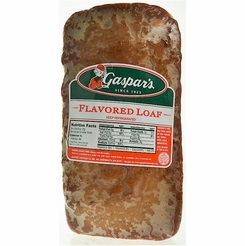 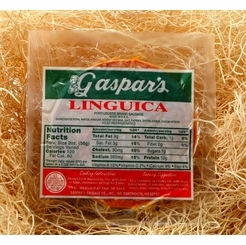 Gaspar's Linguica Flavored Loaf 5 lbs.